THE HAGUE - The delegations taking part in the Interparliamentary Kingdom Council feel themselves to be insulted by Undersecretary of Kingdom Relations Raymond Knops. The reason for the shared indignation is the minister's answer to the question of what his plans are with regard to the establishment of a dispute resolution system for the Kingdom. Knops indicated in a short note yesterday that before the end of the year he will present a proposal for a dispute regulation for the Kingdom. 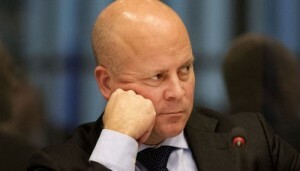 In addition to disappointment about the vagueness of Knop's response, all spokespeople commented on his remark that attention to the dispute settlement should not obstruct the approach of 'urgent issues such as sustainable public finances, the reconstruction of Sint Maarten and practical cooperation aimed at exploiting economic opportunities'. "Nonsense", Pechtold summarized the feelings. It was decided to send the broadly-living displeasure to Knops by letter and to ask him to present a 'step-by-step plan' before 18 June and to submit a 'bill' to the parliaments by November 1 at the latest.